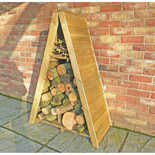 Neatly store firewood with this easy to assemble rack. 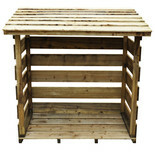 Keeps wood off the ground and dry, free from moisture. 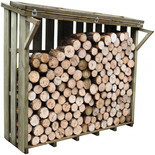 For moving logs from your woodpile to your door. 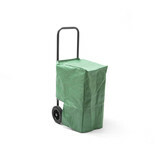 The large 10” pneumatic wheels for smooth movement over uneven ground. 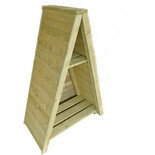 The THLC log cart has 100kg load capacity with solid 20cm wheels for added mobility. 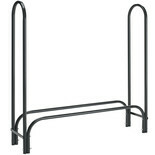 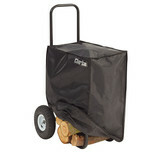 Completing this cart is a robust build and a waterproof cover to keep the logs dry at all times. 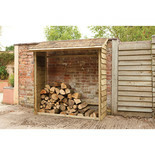 The Shire tall wall log store features pressure treated sawn timber for a long lasting log store. 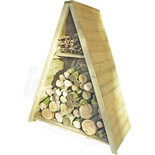 The attractive small triangular log store features a pressure treated overlap for a longer life, and comes with a shelf for smaller kindling wood. 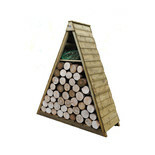 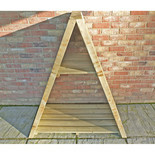 The attractive small triangular log store features pressure treated tongue groove for a longer life and comes with a shelf for smaller kindling wood. 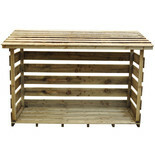 The attractive large triangular log store features a pressure treated overlap for a longer life and comes with a shelf for wood and logs. 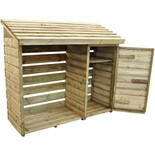 The attractive large triangular log store features pressure treated tongue groove for a longer life and comes with a shelf for safe storage of wood and logs. 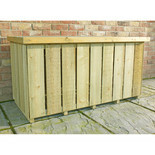 The pressure treated log box features pressure treated rough sawn timber for a rustic look. 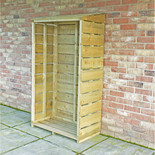 This unit provides plenty of space for storing logs.